Has anyone ever heard of or dealt with Project Solutions? We (Buffalo State Motorsports) have designed a custom gearbox and have had issues finding a machine shop to cut the gears. I got a message from a guy from Project Solutions from India. They supposedly specialize in gearboxes for Baja SAE and Formula SAE. I know SAE Baja is huge in India, so I felt like they could be legit. Just wondering if anyone has dealt with them or is it a scam? Just feels weird sending something off to india, especially since they're asking for an advance payment. I'm probably going to write them off as a scam unless they're know, which i doubtful since their Facebook page is pretty small. No clue.! If you are looking for gear box manufacturers in India then try Elecon Engineering. check their website for more info. I don't know anything about them, but our team has received similar emails from other companies in India. We never go with them considering they are in another country which could make it more expensive. If you wanted to get it machined state side, since you're in New York, check out Traction Products, Inc. (aka Weismann Transmissions) here in Southern California. They are doing my team's gearbox this year and helping out with the gears (not sure if they spline them or not). 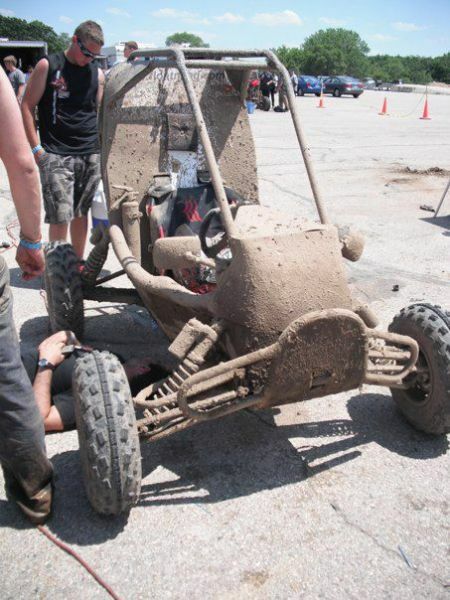 They also do several other local FSAE team's differentials and transmissions. I can try to ask Weismann Transmissions. Thanks for the reference! If you're in Buffalo, check out Ontario Drive and Gear in Kitchener Ontario. they're about an hour and a half from the border. our team and several other Ontario teams use them. we also use them at the company I work for. They know what they're doing and will help you out with design suggestions. if they don't have the capacity, they can probably also help find other shops.